Winter is fast approaching (far too fast if you ask me) and it’s that time again where the jumpers, scarves, hats and gloves come out, along with those perfect winter boots. Last year I lived in my army style boots so they’re definitely a little bit worse for wear now, so it was time for a new pair! I’ve had a massive crush on the cut-out style boots for ages now but I decided to be practicle – holes in the shoes aren’t exactly going to be great in the rain!! 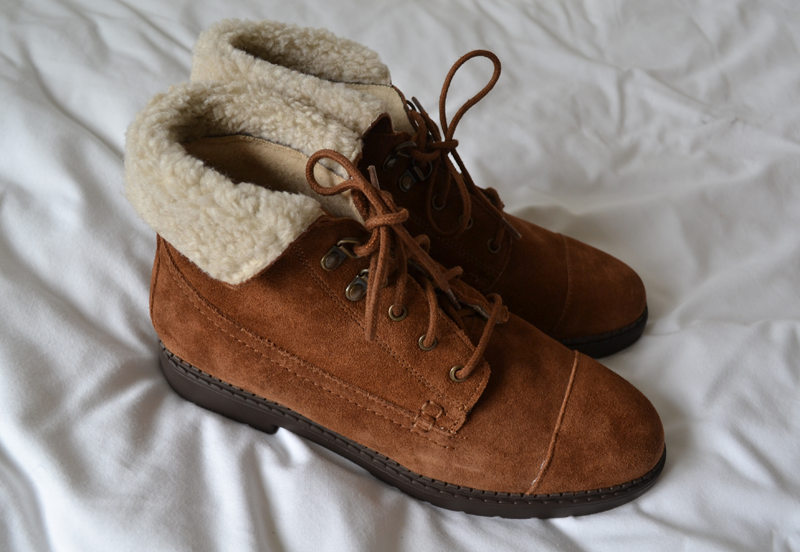 I saw these beauties when visiting Lakeland a while ago, and after ordering a pair of H&M boots online last week and being totally dissappointed by them, I went straight online and bought these – the high top style, the colour and of course the fur is just perfect. They’re super duper cosy and I’m pretty sure I’m going to be living in these for the rest of the winter. "What’s in my bag? / Sixth Form Essentials"